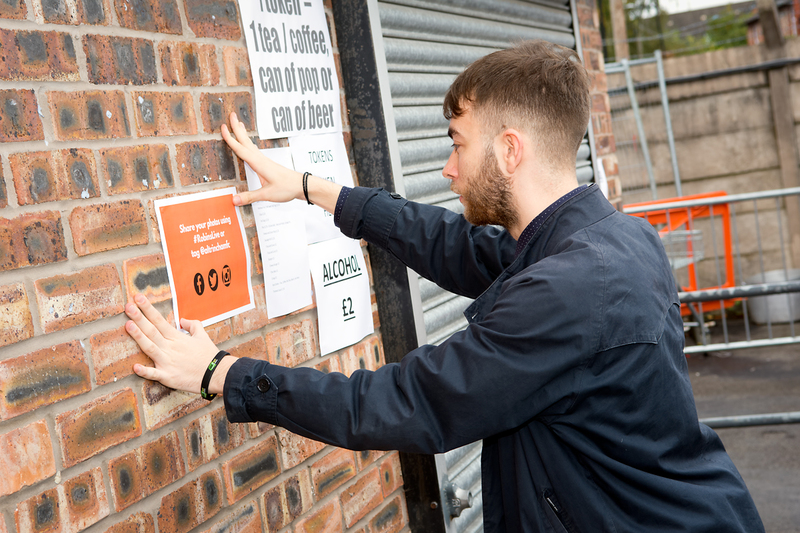 Apprentice Digital Marketing Executive at Pixel Kicks and voluntary Social Media Manager at Altrincham Football Club. An occasional, but incredibly tiresome exchange. For some it is almost unfathomable that a person can primarily support a Non-League football club. They say you’re supposed to follow the team your dad does, so that led to me becoming infatuated with the National League North club from a very early age. Living within such close proximity to Moss Lane encouraged him to take me along every other Saturday afternoon. With a football ground on our doorstep, why wouldn’t he? Fast forward twenty-or-so years and I’m still ever-present on the terraces, it’s just that I have now joined the ranks of volunteers that make the club tick. Fans for Diversity 2017. Michael Ripley Photography. See, Altrincham are a club that rely upon countless hours of unpaid work to run efficiently, and I contribute to that by managing their digital marketing channels. They’ve got voluntary bar staff, groundsmen, youth coaches, stewards, announcers and so on. The role became vacant at the beginning of the 2016/17 season and I jumped at the chance to showcase my ability, which I guess you could describe as embryonic at this point. Working in partnership with a colleague who possesses a background in brand management, we immediately set about auditing the club’s digital persona. Massive credit has to be given to our predecessors who laid the foundations and ran some great campaigns in the past, pulling in some huge crowds for big games. It made our job a lot easier picking up the reigns and taking their great work forward. Rather than starting from the ground up we had a platform to build on. Altrincham celebrate scoring away at Chester. Jonathan Moore Photography. The aim has always been to convince the average Sky Sports watching fan to get off his couch and on to the Golf Road End. We figured what we needed to task ourselves with was connecting Altrincham to these people through social media, and if we could motivate them to get to a game then we were doing our voluntarily roles properly. 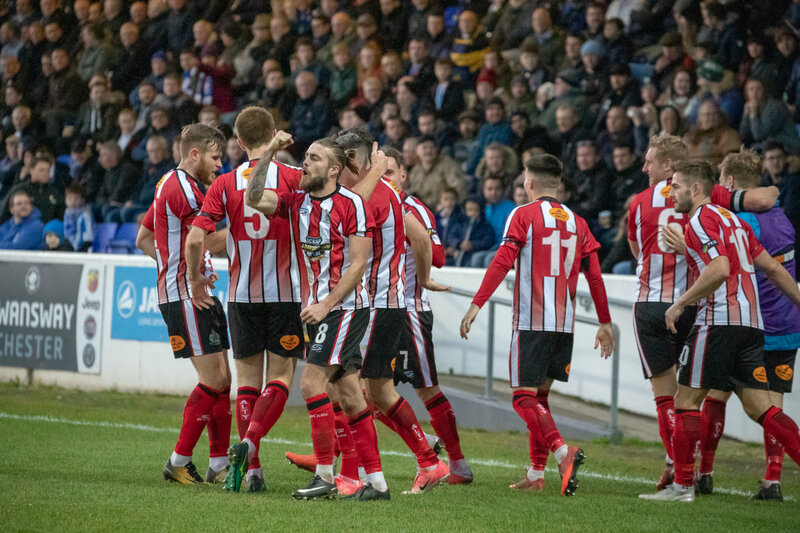 Early success came when Altrincham were named Club of the Round during the 2016/17 Emirates FA Cup campaign. 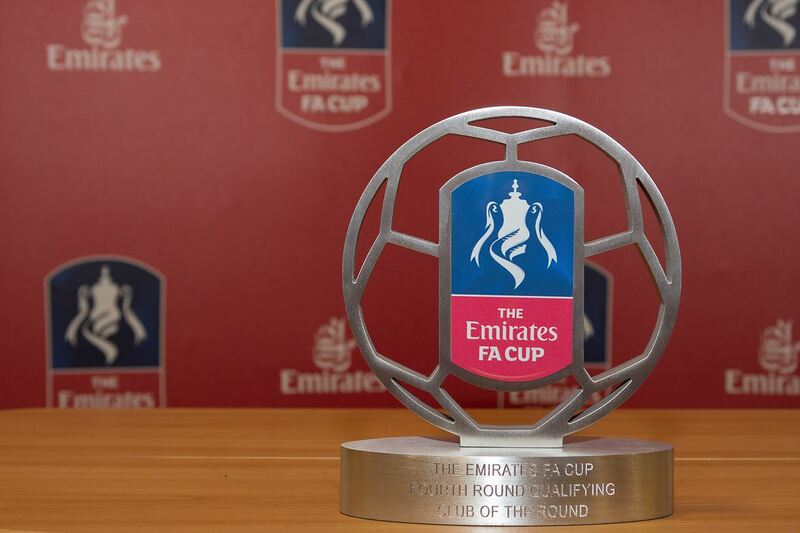 The FA invited participating clubs’ marketing teams to apply for the award, supplying a written summary of the marketing work undertaken for their previous FA Cup fixture. We were judged to have used the most innovative mix of digital and print media to promote our home tie against Matlock Town. The prize included a showcase of the FA Cup itself, and the iconic piece of silverware was present at the next home game against Bradford Park Avenue for fans to take photos with. We also received two tickets to the final which were raffled, five new Nike training balls and £500 of paid social media support from the FA. We also got a neat little trophy! We continued to leverage Twitter’s viral potential, particularly within the football community, to generate more exposure for the club. The more times we could successfully do this, the more conversation we would generate about Alty. It was decided that we would refresh the club’s online tone of voice. We oversaw a transition away from the safe, text-book delivery of news to a tone almost borne out of self-deprecation. The thought process here was to position Altrincham as a football club that didn’t mind poking fun at itself, one that didn’t take itself too seriously when the moment was right to do so. We had no real social strategy aside from this, although things have become a bit more professional since then. We just wanted to try and make the club seem as modern, interesting and engaging as possible. 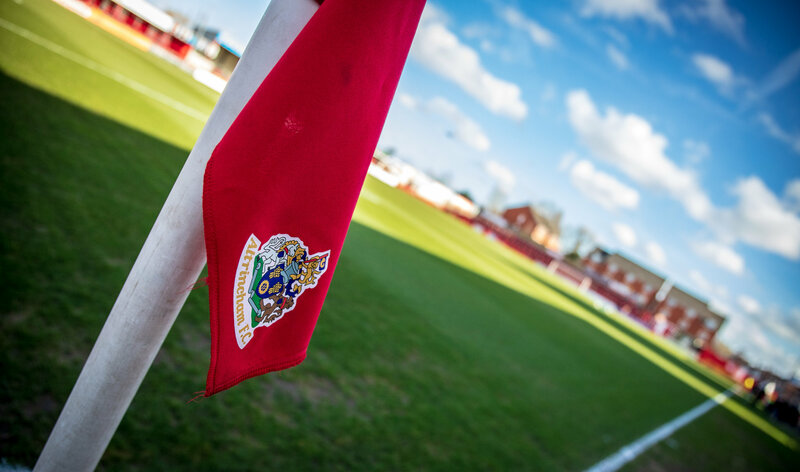 By injecting some much needed life and personality into the way the club communicated with their fans, and the wider footballing world, we were re-positioning Altrincham as eccentric and entertaining. Please note, CV's for the vacant manager role must not be based on FM or CM achievements. When Altrincham parted company with then-First Team Manager, Jim Harvey, the opportunity was there to remind the footballing world that we will not be accepting applications based on video-game accomplishments. As @AFCFYLDE won last night, we are mathematically OUT of the title race. Rock-bottom of the National League North, we saw fit to announce the end of our title charge after the leaders grabbed another three points. We’re always on the hunt for reactive content and we regularly jump on opportunities to cement that entertaining tone. Social listening plays a big part in our strategy here and we constantly keep an eye out for mentions of ‘Altrincham’ or news relating to the club. Aguerwho? Simple tweets pay dividend when the club name is mentioned alongside names that hold such weight amongst our target audience. A word of warning, don’t try and clickbait Altrincham. It’s all great stuff, posting tweets that get big numbers – but they’re flashes in the pan. What we also needed to establish were consistent features and chunky campaigns to drive consistent engagement from our core support. The creation of a six-aside Fantasy Football league was a huge success. Fans could create a team of their favourite players using an available budget. It generated conversation around fixtures and had over 150 sign-ups by the launch of the game. 📈 Into the business end of our second Fantasy season – yesterday’s MOTM bonus was awarded to Max Harrop. This was followed by our #FootballManagerManager campaign, where we became the first club in the world to officially appoint a Football Manager player to play the game as them. We generated an online buzz when we announced that interviews for the role would be held via Twitter Direct Message, and that’s exactly what we did. We ‘interviewed’ 20 Football Manager YouTubers with varying audience sizes and content styles, eventually deciding to work with content creator Loki Doki, who introduced Altrincham to his subscriber base of over 40,000 people. The Rise of the Robins series totalled well over 1,500,000 views on YouTube. Our work alongside Alty’s Inclusion & Diversity team has seen us nominated for a National Game Community Award by the Football Supporter’s Federation. You may have come across our most recent project in support of Football vs Homophobia’s month of action. 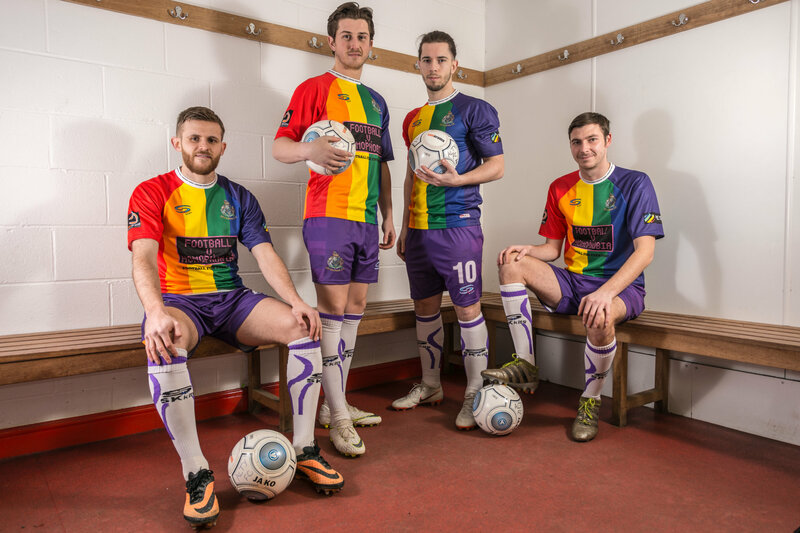 The initiative saw Alty become the first team to take to the field for a competitive game in a kit based solely on the LGBT Pride Flag, as opposed to our traditional red and white. It reflected the club’s unswerving commitment to inclusivity and diversity, as a club at the heart of its community. The match worn shirts were auctioned after the match, and replica kits went on sale with orders flooding in from across the world. All proceeds from the auction were donated to The Proud Trust, an LGBT+ youth charity who are rebuilding the LGBT centre in Manchester. Profits from the replica sales will go towards future Inclusion & Diversity initiatives. "It's not subtle, but it's loud and gets the message across." 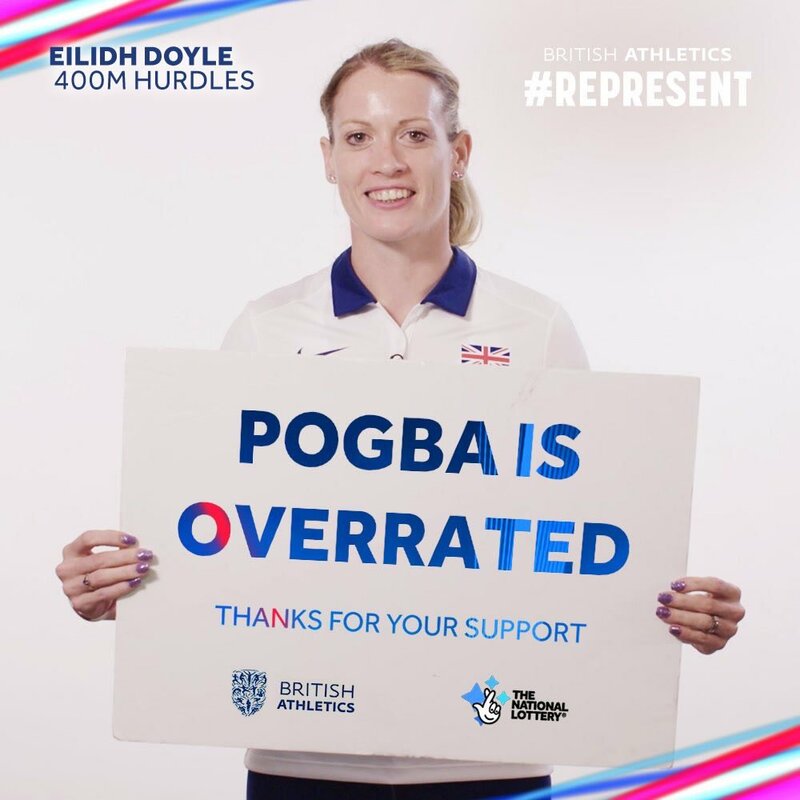 The reach of the campaign was astronomical and exceeded expectations, with the story gaining coverage from the Daily Mail, Daily Telegraph, BBC, ITV, Sky Sports, BT Sports and much more. FA chairman Greg Clarke said last year he was aware of at least two gay Premier League players, adding that he was “personally ashamed” that neither feels safe enough to come out to the public. Sexual orientation shouldn’t matter in sport but unfortunately it still seems to. The hope was by making a significant, rather than a subtle statement, we could open up further discussion and remind everyone that Alty are a Club who welcomes all. We ran with the hashtag #footbALL throughout the campaign. Michael Ripley Photography. There’s still so much more to mention. We’ve generated £4,000 in prize money for the club via Marathonbet’s Non League Challenge, launched football’s first WhatsApp news delivery service straight to fans’ phones, and attracted support in the form of main stand sponsorship from the prominent social media football betting community Footy Accumulators. The partnership with Footy Accumulators includes regular content collaborations with Checkd Media and there are some very exciting projects in the not too distant future, including a behind-the-scenes documentary following the senior squad’s progress. Things have progressed quickly on from 2016. What was an exciting chance to try a new line of work has led to a full time profession in a fast paced industry. If I didn’t volunteer my time, I wouldn’t have discovered my potential to do this for a living and I remain very thankful for the opportunity. If you want to learn more about my work at Altrincham you are more than welcome to get in touch with me on LinkedIn. Similarly, if you would like to learn more about how digital marketing can impact your business then feel free contact us here at Pixel Kicks. 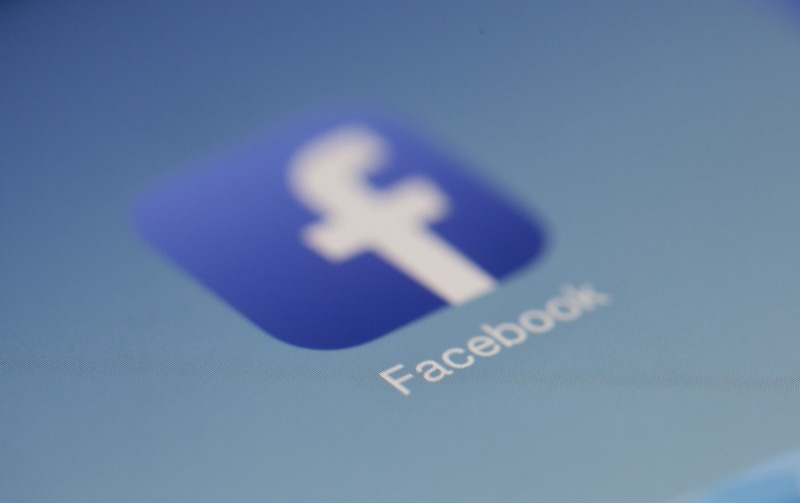 When executed in the right way, Facebook advertising campaigns can have a huge impact for any brand or business, and should be seriously considered as part of your marketing strategy. With over 2.2 billion active users on Facebook each month, the global reach of this social platform is phenomenal, which is what makes their advertising so effective. No matter the type of products or service you’re offering, you can bet that your target audience will be using Facebook, and the many different micro-targeting features integrated in the platform allow you to target these people specifically; based on interests, locations, demographics and much more. Setting up a Facebook ad campaign can be a bit daunting at first, since there are so many different options to choose from. It’s important not to be overwhelmed by this, but to see it more as an opportunity to really refine every element of your adverts, to ensure that you’re getting the most out of your budget and utilising it in the best possible way. With the large amount of campaign types available on Facebook, it would be a mistake to just try one. For each business and its goals, the type of campaign required will change, and it’s important to get an idea of what they’re all about before you click on whichever pops up first. One of the most simple, common types of campaign to manage is the boosted post – this is perfect for when you want to drive clicks to a piece of content you’ve already shared, or push a piece of important news out to a wider audience. Video ads are another important type of Facebook advertising. This format is one of the best ways of grabbing the attention of Facebook users as they scroll through their news feed – it’s key to ensure your video content is instantly engaging to hold their attention, and ideally get them to convert their view to an action. For those wanting to showcase a variety of products and services, a carousel ad is recommended, allowing the user to side-scroll through each individual item and click through to their dedicated landing pages. The diversity of advertising types can be overwhelming at first, but we recommend trying several and comparing your results. When setting up a campaign, Facebook does ask you to select your goal type, and as such can point you into the right direction of types you should try. Set out these goals before you specify any sort of budget, and this will help you to better plan out the money you have. From there you can begin to work on testing different ads to gauge ROI. Any optimised Facebook ad campaign will be grounded in a well-planned testing phase. As explained above, you will want to experiment with various types of content to determine which one is the most compatible with your audience. After this you can begin to run smaller, £5-10 ads on 3-4 day cycles to test them and generate results data. Use this results data to make informed decisions on how you will allocate the bulk of your campaign budget, as opposed to setting up ads with a blind budget of £100. It is also worth considering your Budget and Scheduling settings, which can be found in the Facebook Ads manager. You are given an option between setting a Daily or Lifetime budget for any Facebook ad that you set up. We opt for Daily budgets as opposed to Lifetime, as highly performing ads can drain a Lifetime budget very quickly while Daily will ensure that the ad remains on users’ news feeds for the specified ad duration. You can’t change this setting once you go live, so make sure you’ve considered this in detail first. Upon creating your Facebook ad campaign, you’ll notice that your placement options will be preset to “Automatic Placements (Recommended)”. Sure, you can leave it like that and Facebook will choose the best places to show your ads in correlation to their expected performance, but if you really want to give your ads the best possible chance of a high success, you’ll drill deeper into your ad placement options. Now, when you choose to “Edit Placements”, you’ll notice there’s a plethora of different options which can be quite overwhelming and at this point, it seems a little easier to leave it ticked on automatic and move on. Feeds – displays ads to your target audience on their Facebook News Feed in-line with all of the other content. Usually seen more frequently, and can be used on both desktop and mobile. Instant articles – directs users to straight to your online content (articles or blogs) when clicked. In-stream videos – ads placed within videos on Facebook, in a similar way to an ad-break, where the user will have to watch the ad until the end before the video continues. Right column – desktop only, ads displayed to the right hand side of the news feed, making them less preferable due to their easy-to-miss location. Suggested videos – your video will appear in the list of “suggested videos” presented to a user once they have finished watching another video on Facebook. Marketplace – displays your ads within Facebook’s Marketplace. The users presented with these ads are already looking to make a purchase, so are likely to convert. Stories – shown to users as they’re watching Facebook Stories from their friends or other pages. Feed – appear on a users’ Instagram feed when scrolling through content, and will display a CTA when the user hovers over the post for long enough. 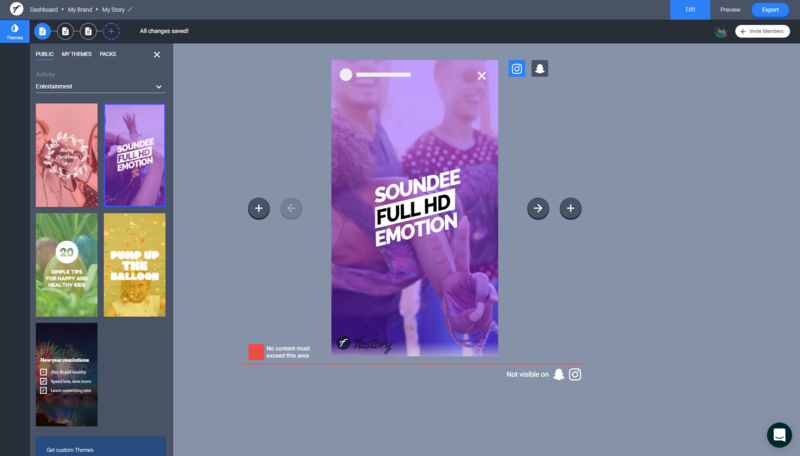 Stories – in the same way as Facebook Stories, these ads will appear while users are watching through their latest Instagram Stories, and you have the option to add CTA’s such as “swipe up to see more” or “learn more”. This is a cluster of apps and websites participating in Facebook’s advertising programme, which get paid to have your ads appear. Native, banner, and interstitial – display in different locations within the apps or websites, and graphics can be adjusted to suit the specific layouts. In-stream videos – this is the same functionality as the Facebook in-stream videos, however videos are located on external sites. Rewarded videos – specifically designed for gaming apps to showcase what gameplay looks like. It allows the user to test out the game during the ad, before then seeing a CTA prompting them to download. Inbox – users will see a full sized ad when looking through their inbox, amongst all of their messages. These ads look similar to News Feed ads and include a CTA. Stories – shown in the same way as in the Facebook Stories and Instagram Stories sections. 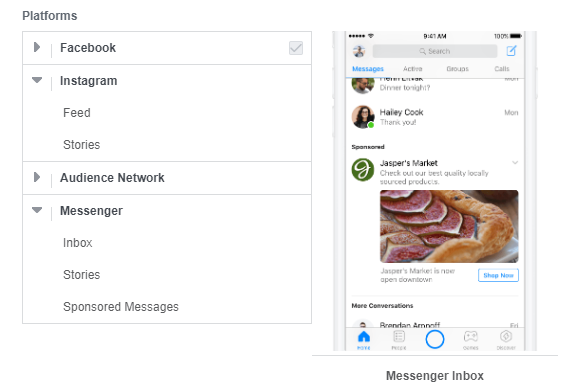 Sponsored Messages – users will see a message in their Messenger inbox containing a message and a CTA, which makes it look like the brand has contacted them directly. It’s important to note that some of these placement options won’t be available depending on your campaign objective. So it’s in your best interests to see which options are open to you before deciding which placement method will be most effective for your specific ads. Remarketing is something that most of us will have come across before, and maybe not even known it. It’s used as a way of targeting people who have browsed your website before, in order to try and catch their attention and prompt them to return to make a purchase. If you’ve ever been online shopping for a specific product, and later saw an advert for that same product whilst browsing other websites – that’s not a coincidence. The power of remarketing aims to target customers who have shown interest in a product or service, and draw them back to the website to buy. This is done by placing a code on product web pages and using cookies to track visits, then once the user navigates away from the website, the adverts with related offers will follow that particular user around the web. This is a common practice on Google Ads, using websites within the Google Display Network to display adverts, but you can also do it on Facebook, too. The only difference with this is that the adverts will only show on Facebook. This is also known as “Custom Audiences”, and there are three different options you can choose from to set this up, which we discuss in the next point. Marketers are in agreement that Custom Audiences are one of the most essential tools to use when setting up a concrete Facebook ad campaign. So, what do you need to know? A Custom Audience is an ad audience you can create that includes sections of, or all of your existing customer base. You upload or import a hashed customer list, which Facebook used to match against the people on Facebook to target people already familiar with your brand or business. This is so important and incredibly useful, in the sense that it’s easier to generate repeat business from your established customers than it is to spend money in the search of new ones. A list of emails, phone numbers or Facebook User IDs that Facebook matches with its users, presenting you with a custom audience of Facebook accounts that are already familiar with your business. Rather than supplying Facebook with a list of phone numbers or email addresses, you can insert Facebook Pixel tracking code into your website to target any Facebook users who visited specific pages on your site during a set time period. Generate audiences based on people’s activity on your mobile application. If your business has a dedicated mobile app then you can use this data to create Facebook audiences that get results. With a Custom Audience uploaded to Facebook, you can use this data to generate a much larger Lookalike Audience that uses the characteristics of your data to target similar Facebook users on a grander scale. Just remember, if you’re planning on using your customer data as part of a Facebook ad campaign, you need to clearly explain this as part of your data usage policy. 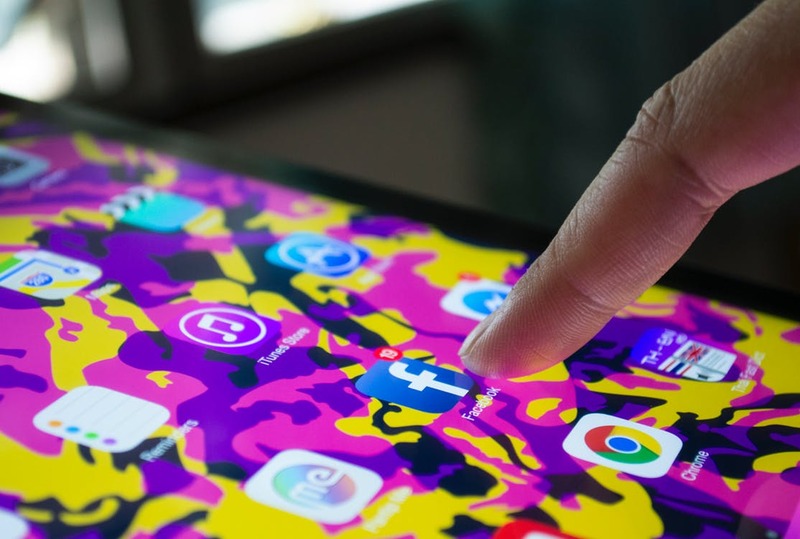 If you already have an active Facebook page, the data you’ve accumulated on it should be considered when it comes to setting up your advertising campaign. 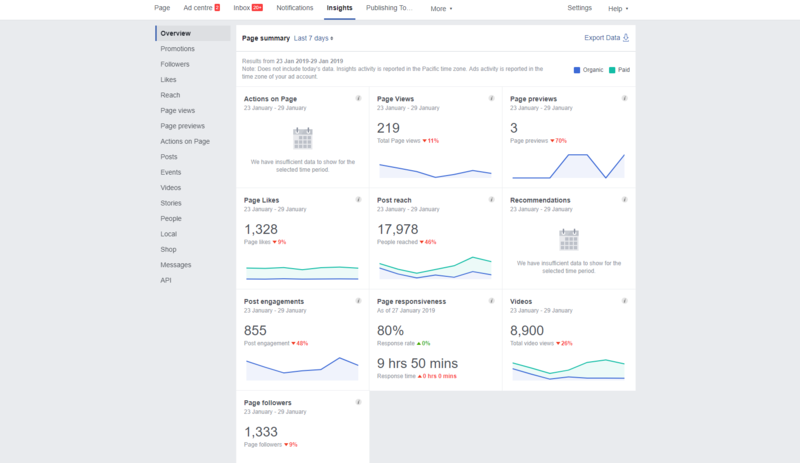 Every Facebook page has an Insights section to view, where you can find detailed information about your page audience and post engagements. You can segment statistics such as page views by age, gender, location and more, as well as find out what type of posts (mainly link, photo, and video) perform the best. It’s well worth using this organic data when it comes to formulating your advertising campaign. Has your Facebook page performed well with 25-30 year old female users? Maybe this should be something you use when it comes to selecting your campaign audience demographics. Insights shows your video content gets 50% more impressions than your other posts? You’d be on the right path to focus on video content in your paid posts. This point sort of transcends Facebook ad campaigns specifically, and is actually applicable to PPC campaigns on the whole. Landing pages are an indispensable part of inbound marketing. If you’re going to put in all of this hard work to drive consistent, high quality traffic to your website… You’re going to want to make sure that you’re pointing people to a webpage that converts them into leads for your business. Landing pages are web pages set up to specifically capture a visitor’s information through a lead-capture form. The best landing pages will be established with a particular audience in mind, tailored to their browsing habits and presenting the exact information they need to take the desired action. This Formstack article describes the anatomy of a perfect landing page, running through the key design features to encourage a conversion. It provides best practice advice on headings, call to action buttons, content placement and more. Use it as a reference when building the pages you want to direct your audience to, and you won’t go far wrong. So, you’ve got your ad campaign up and running, but it doesn’t end there. Constantly tracking the performance of your campaign is equally as important as everything you did in the run-up to publishing it. 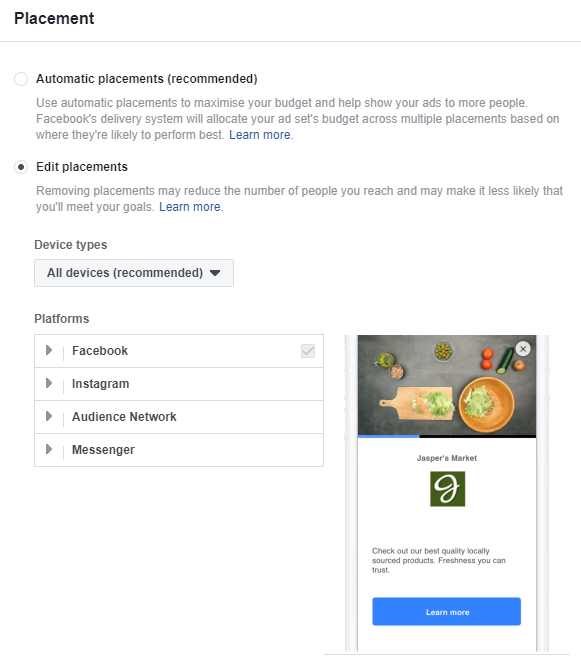 There’s some information about your promotions in the Facebook Insights section of your page (as detailed above in point #6), but you’ll find the most useful data on Ads Manager. This is where you can tweak your campaign settings, and look at how everything is going. The most important stats you’ll want to check out are the direct results of the promotion – how many likes, engagements and conversions you’re getting, in comparison to the number of impressions and amount of money spent. You can go deeper though and see where things are performing best, with graphs breaking down your results and reach by age and gender. If you find things are going better with one demographic than another, it may be worth changing your targeting to direct your budget solely towards where you’re finding success. 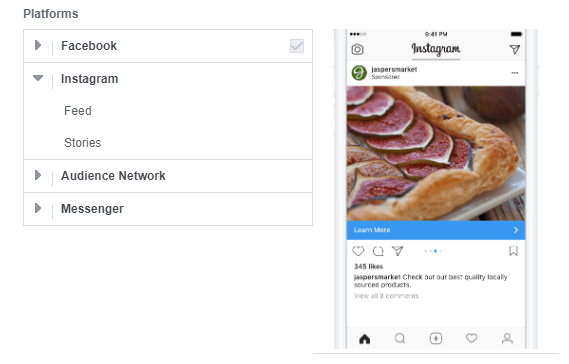 You can also segment your data by placement, meaning you can filter your results by device type, and advert locations such as Facebook, Audience Network, Stories, Instagram, and Messenger. Again, if you’re noticing a high conversion rate through ads showing on Facebook stories, but a much lower one on Instagram, you should consider focusing more of your budget on the more successful medium. Need more help with your Facebook advertising campaign, or want a knowledgeable, experienced team to assist you with running and managing it? Get in touch with Pixel Kicks now for a chat about your marketing needs. 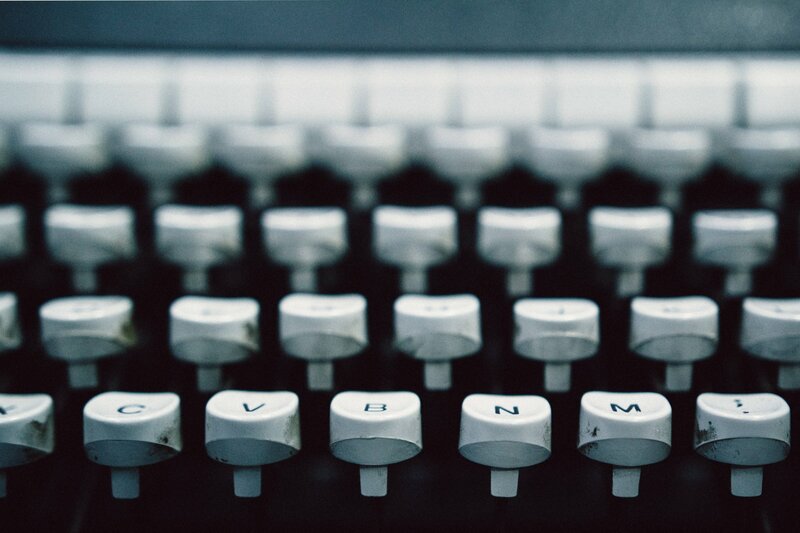 SEO should be an essential part of the copywriting process, but due to the challenging nature and lack of understanding, we often see it neglected. This is problematic. You could produce some of the most educational, thought-provoking content on the internet but if isn’t fine-tuned to the search engine algorithms then chances are it won’t get the response it deserves. We’ve explained five fundamental principles that we include in all of the website copy we write. Read on for ways in which you can build a web page that Google clearly understands. Of course, the purpose of SEO is to appear higher in search engines such as Google when people search for keywords relevant to your website. So, how does Google know that the search term someone has entered is a good match for your website? It’s down to you to tell them by making sure important keywords about your website appear within your content, but you have to get the balance correct. Your content needs to look completely natural – you’re writing copy with the aim of it being read by site visitors, with the Googlebot not being your target audience. While writing your copy, ensure your keywords do actually appear, but also that they fit into the context and flow of the content. It’s not just about where you place the keywords though, but also how often you insert them on one page. Keyword density is something very important to keep in mind. Whilst ensuring your keywords appear enough for Google and other search engines to consider your page relevant, it’s also crucial that you don’t over-do it. Keyword flooding is a black-hat SEO technique, used in the early internet days by site owners to try to improve rankings. The “strategy” would see sites include lists of all the keywords they wanted to rank for, but this was eventually stopped by search engines actively penalising any site that did this. As such, it’s important that your content isn’t too keyword heavy, as you could be seen as keyword stuffing. As long as your post reads naturally, and the keywords don’t seem to have been added in out of context, you’ll be fine. There’s no proper rule for keyword density, such as an optimum percentage, but there are still ways of knowing how you’re doing. The Yoast SEO plugin for WordPress is the easiest way to track keyword density across a webpage, and can be installed on any WordPress site that is self-hosted for free. Page titles and meta descriptions are your opportunity to explain the relevance of the page to Google’s bots and the search audience alike. As well as the copy on the page itself, Google considers the page title as part of its ranking algorithm, and displays the meta description as part of the SERPs (search engine results pages.) Ensure that the page title and meta descriptions are optimised for the keyword that the page is targeting by including the keyword as part of the copy. The title tag is an HTML element that specifies the title of the webpage, and they are the first thing a potential reader will notice when browsing the SERPs. Here, best practice is to find a balance between SEO and generating intrigue. Moz research indicates that magnetic headlines are the way forward. Meta descriptions are HTML attributes that concisely summarise the content of a webpage. While Google did announce back in 2009 that neither meta descriptions nor meta keywords factor into their ranking algorithm, the snippet is still displayed as part of the SERPs. A good meta description will clearly specify the aim of the page and what a user can expect to gain from reading it. Meta descriptions can be any length although Google will snip anything over 300 characters. The recommended length is anywhere between 50-300 characters, but a lot will depend on the context of the page and what you are trying to explain to those searching. The most important thing to remember is that the meta description is there to drive clicks by explaining why the page holds value. Similarly to the first point, Yoast SEO is a copywriter’s best friend. Page titles and meta descriptions can be modified using the plugin. That’s right – despite the fact you want people to link to you to aid your link building efforts, it’s also important that you link to other sites yourself. As well as tracking where your traffic comes from, Google’s bots also look at your linking behaviour. Linking to authoritative, good quality websites can often act as a reference that backs up the statements in your copy, and on the odd occasion could be noticed by the site you’re linking towards, who may choose to link back. Linking to other pages on your own website is also useful. Doing this can help to improve a number of aspects that can be considered ranking factors. It improves the usability and user experience of your website, enabling site visitors to better browse and locate your content, and can also help to decrease your bounce rate (the amount of users who exit your site after viewing just one page), and increase your website’s average session time. All of these are things that tell search engines that your site is of good quality, something which will help to increase your rankings amongst the many other considered factors. It goes without saying that your content must be readable, but how can you ensure readability is as high as it can be? 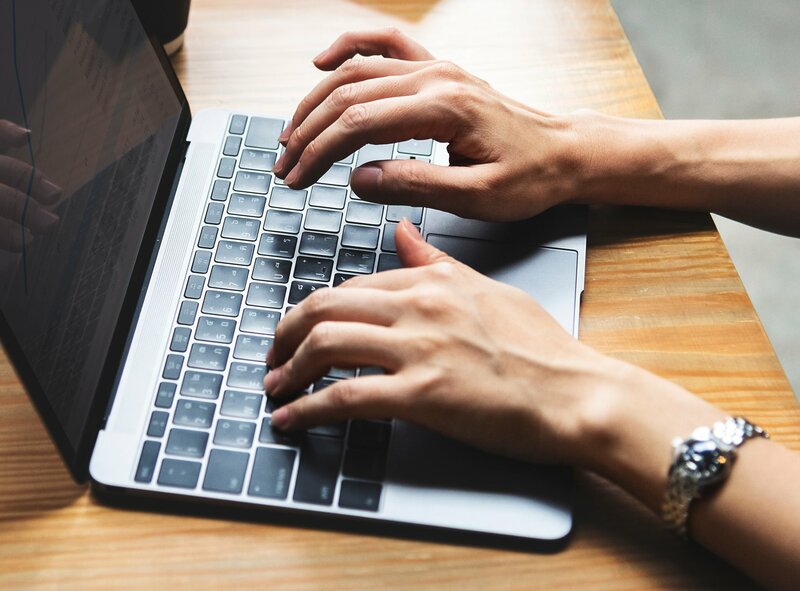 This can be done in a number of ways, with one key piece of advice being to ensure you write in good English, with minimal spelling and grammar mistakes – ensure your text is accurate, otherwise you’ll give off a poor impression to potential customers visiting your website. The readability of a page of copy doesn’t always come down to what the actual text says though. It can also be helped by the visual layout of the text. Structure your copy with subheadings and small paragraphs to break it up into smaller, easier to navigate chunks that help readers to find the relevant information they’re looking for. Another way of making your content more digestible is by adding bullet point lists – short bursts of information in small one sentence portions. By making your content more readable and easier to understand, you increase the number of users reading the whole thing and can end up with people linking to it as a reference, or users sharing it in another way. As such, your site is seen as a trustworthy authoritative source, helping your Google rankings to rise. The free Yoast SEO plugin we mentioned earlier also offers page readability scores when you’re writing content – it’s definitely a useful addition to your WordPress site. You’ve considered, drafted and optimised a piece of copy with the expectancy that it ranks highly and pulls in consistent organic traffic – but what then? Have you considered the overall purpose and objective of the page? If you are producing content with the clear aim of getting more conversions then you simply have to include CTAs. They are an important component of any website’s lead generation process and without them, website users will be much less likely to convert as a result of the content you have produced. It is important to end blog posts with encouraging the reader to take some form of action. Inspired by the copy you have written, users are presented with the opportunity to get We like to embed a contact form box where possible. You can encourage readers to share your content to social media for amplified reach. This works really well for educational pieces that possess a certain value that deserves to be shared – for example, research findings presented in a digestible infographic. You can use ClickToTweet, which empowers readers to share direct to Twitter with a pre formulated caption including a link to the content. If your content has generated a significant amount of interest, you may wish to capitalise upon that by offering readers the opportunity to subscribe to your blog by joining a mailing list. This is a fundamental for any business that wishes to build up a dedicated audience for their content. Condense the subscription form down to the bare minimum information needed, no long forms and of course, ensure that all data capture is GDPR compliant. Hopefully we’ve brought some easily implementable changes to your attention. SEO is not a foreign language, we see it as more of an overall process that is applicable to 99% of the website copy we produce. Having a list of crucial rules that can be ticked off when writing something new is a big help, so feel free to add the above five into your future work. If you have any questions about SEO copywriting, or wish to make a general enquiry, you can do so here. It feels like everybody is talking about GDPR, specifically in digital business. You’ll have heard those four letters a lot, but what do they actually mean? GDPR is a new regulation coming into effect very soon, that will deal with the ways in which businesses and organisations handle your personal information. But how is GDPR going to affect you specifically? 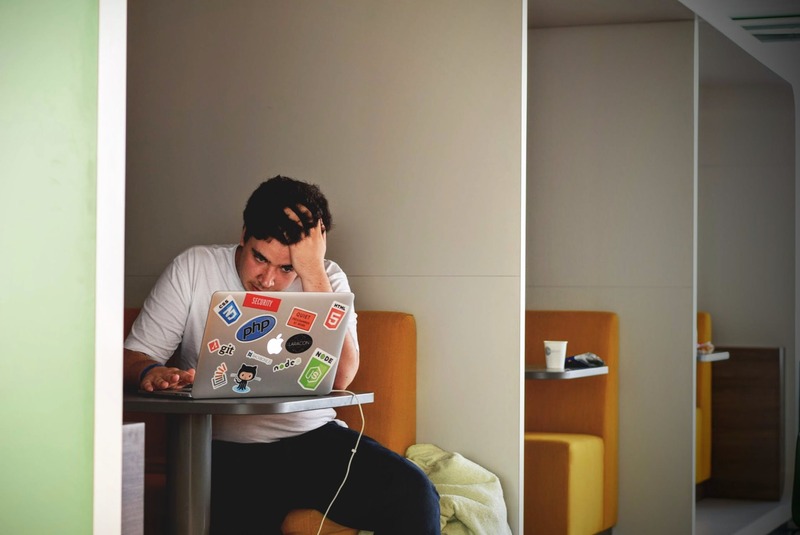 Whether you’re a small business owner, or manage a large organisation, it’s very important you check up on these new rules, as you could find yourself in a spot of trouble. Chances are you might already be fully compliant without realising it, but it’s better to be safe than sorry. Everyone is asking the same questions – what is it? What do I have to do? What happens if I don’t follow the new rules? As such, we’ve compiled a list of frequently asked questions, and have explained everything you should need to know. When does GDPR come into place? What are my main responsibilities under the GDPR? I have an existing email list – how do I make sure this is compliant? I send emails to my customers once a month – what do I need to do? What does the newsletter sign-up form on my website need to say? What will happen if I don’t comply with GDPR? What are the GDPR breach (non-compliance) penalties? How does my business benefit by complying with GDPR? What individual rights does GDPR provide the public? Who within my company is responsible for compliance? What is a Data Protection Officer and does my business need one? I’m only a small business, do I need to worry about GDPR? GDPR is an EU Law – with Brexit on the way, does it apply to the UK? Where can I find good further reading on GDPR? GDPR stands for the General Data Protection Regulation, a new EU law that was approved in April 2016. It’s the result of four years of plans to improve data protection for the 21st century, and aims to give individuals more control over how their personal information is used by organisations. GDPR came into place on 24th May 2016 after EU members agreed to the key details. However, businesses and organisations aren’t affected by the legislation until 25th May 2018, after which point everyone in all EU member states must be fully compliant. This is a summary of GDPR Article 5. Email lists are all about permission. You need to ensure that you have received clear consent from all existing customers ,and that you are using their data only for the purposes you have described. If this isn’t the case then you must delete the data. Similarly, delete all information which is not required for the purposes of permission you were given. You must be able to show, upon demand, how you have received clear consent from the customers you are sending email marketing to. If any of the above is a worry then you must reach out to these customers to obtain their permission once again. A thorough campaign to have your existing email list re opt-in to your service, with a log of the processes used, will stand you in good stead for the future. Remember to only send opt-in information to those who have given their consent in the first place. Make absolutely certain that you are holding and processing personal data securely. GDPR isn’t out to make things difficult for people – it’s designed to protect data and stop organisations misusing the information of its individuals. If you’ve been doing things correctly and by the book, chances are you won’t have to do much. Perform an audit of your database to ensure you know where the information of your users is stored, and you have details of how they consented to the communication. Ensure there is a clear way of unsubscribing from your mailing list on every communication you send to it. This should be in the form of a simple link that will instantly remove the user from the list. 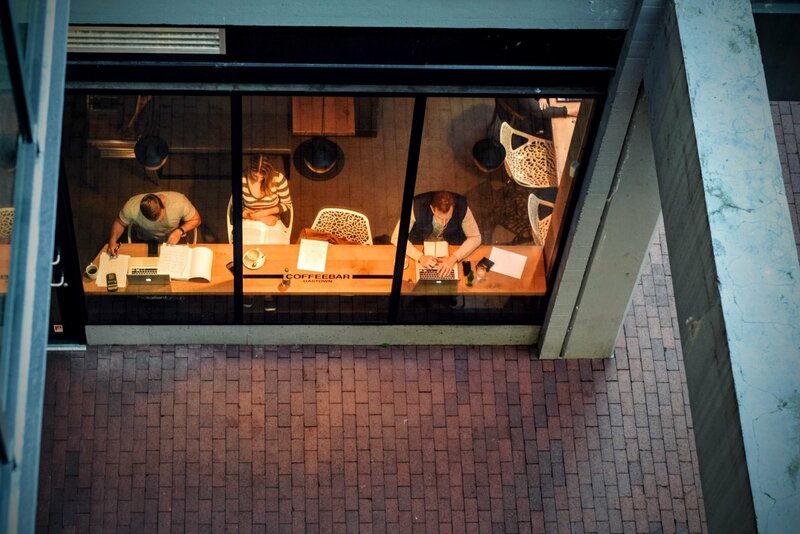 For a more detailed look at GDPR & email marketing, click here. Active Opt-In: Users will have to actively opt-in to receive communications or subscribe to newsletters, meaning that any tick boxes regarding contact preferences can no longer be pre-ticked, and must be left blank or “no” as default. Unbundled Opt-In: Contact preferences/subscribe opt-in boxes must now be completely separate from acceptance of terms and conditions. Granular Opt-In: You need to give users the option to tailor their contact preferences – i.e. by providing separate tick boxes for Post, Email & Telephone communication, and a separate tick-box to agree to having personal data shared with third-party companies. Easy to Withdraw Permission or Opt-Out: Users must always have the right to opt-out of communication, and it is recommended that they have the ability to easily withdraw from selective topics, if they don’t want to opt-out altogether. Naming Third Parties: When asking users to share their data with third parties, each party must be clearly named and an individual tick-box for each. Personal data can be any piece of information related to a person, such as names, contact details (email, address, phone number, etc), bank details, photos, IP addresses and more. GDPR also concerns information such as biometric data, ethnic origin, race, religion, etc. As well as individuals who have been affected by your non-compliance being able to take legal action against you to claim compensation, you could be hit by a GDPR penalty. With the new regulatory change, also comes a new fine regime. There are different penalties for non-compliance, depending on the severity of the breach. The maximum fine for the most serious infringements (having insufficient customer consent for processing data, or huge security breaches where inadequate protective measures were found, for example) is up to 4% of the company’s global turnover, or €20 million, whichever turns out to be the highest. For other, less serious breaches (such as inadequate record keeping), companies can be fined up to 2% of their global turnover, or €10 million. Inform your employees: It’s crucial that all staff within the company, particularly key employees involved in decision making, are aware of what’s changing and what their responsibilities in the process are. Make sure that everyone knows what they need to do and when, to avoid any disruptions or delays. Revise what data you’re collecting: Find out what personal data you’ve been holding, and what you’re using it for. The law is cracking down on unnecessary data collection, so it’s important that you’re only collecting and using the information you need. 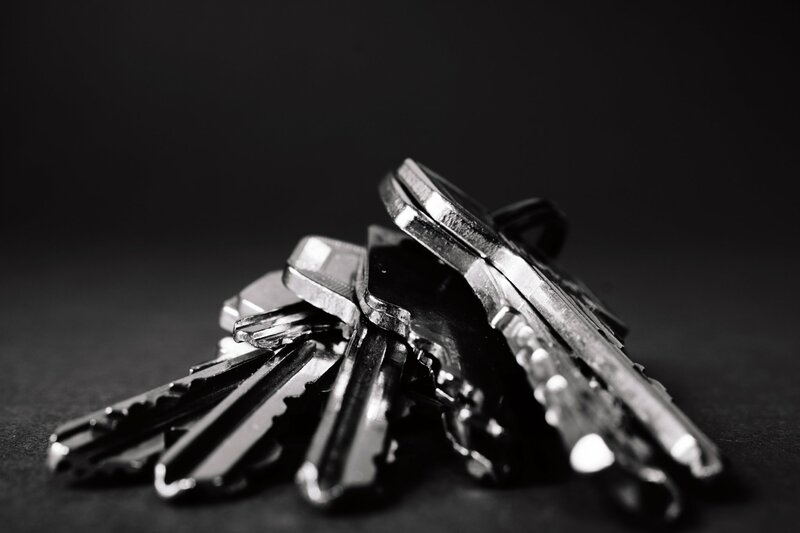 Check your security breach prevention procedures: Ensure that you have adequate data protection measures in place, in order to be able to detect, respond and report any breaches in accordance with the regulation. Failure to have the appropriate measures in place could incur a penalty in the event of a breach. Inspect your consent procedure and privacy notices: You might need to update the way you collect, record and manage data consent if they aren’t already compliant with GDPR. Improved reputation: Data breaches are happening more than ever, and with the risk of attack being so high, being GDPR certified gives your business an added security factor and will inevitably boost your reputation. 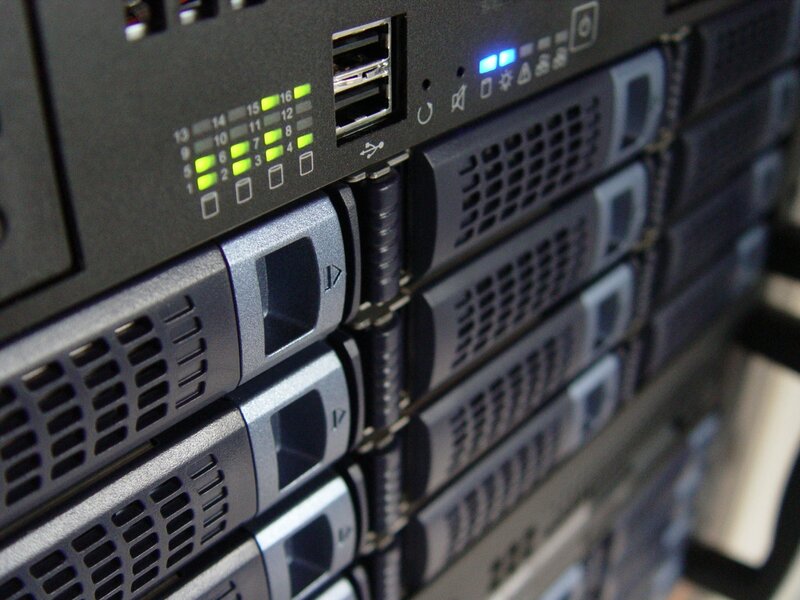 Increase in data quality: New regulations require data controllers to amend any errors that they are made aware of in data stored within a company’s database. 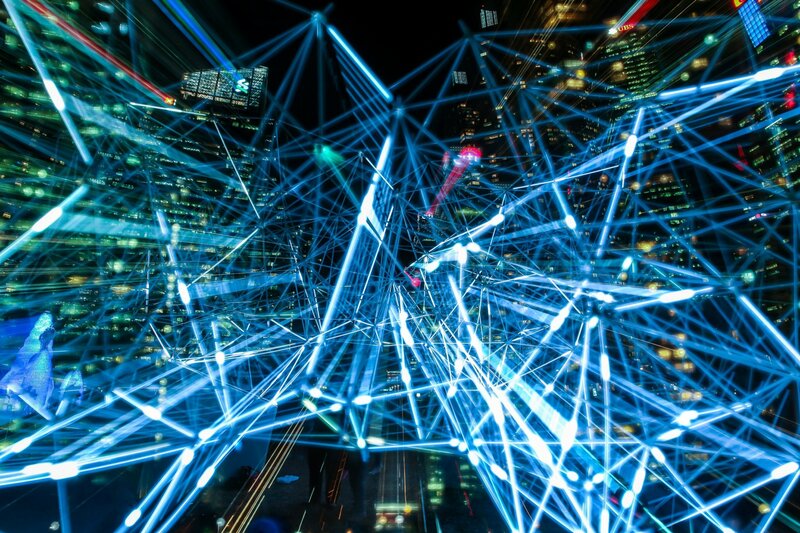 Individuals can access and inspect their personal data, and have any necessary changes made to it, therefore improving the accuracy levels of stored information. Gain valuable insights: Companies are now required to properly process and store personal data, and make decisions about how to use it. By having an organised collection of personal information, it allows companies to get to know their customers more, and provides valuable data that can be used in marketing and sales campaigns. To be informed. This means individuals have the right to be informed about the collection and application of their personal data. You must provide individuals with information that explains the purpose for your data collection. Of access. This means individuals have the right to access their personal data, and to be aware of how their data is processed. To rectification. This gives individuals the right to rectify any inaccurate personal data. To erasure. This gives individuals the right to have their personal data erased, and must be given a clear process on how to do so. This is also referred to as the right to be forgotten. There are also rights concerning data processing, portability and profiling. You can read more about these here. Unless you have a designated member of staff, ensuring your business adheres to the main responsibilities of GDPR falls largely down to yourself as a small business owner. This can be quite daunting, and it is why some business owners have chosen to hire Data Protection Officers to oversee a short term audit of their data handling processes. Data Protection Officers are responsible for informing employees of their compliance obligations. Essentially, they are employed to monitor any activity within the business that concerns the use or handling of data. This includes organising training for employees. Data Protection Officers are advised for medium to large scale businesses that handle large amounts of personal data. No matter the business size or sector, if the organisation is handling personal data then it is critical that GDPR is taken as seriously as possible. A well considered information handling process will reflect extremely well on any business. 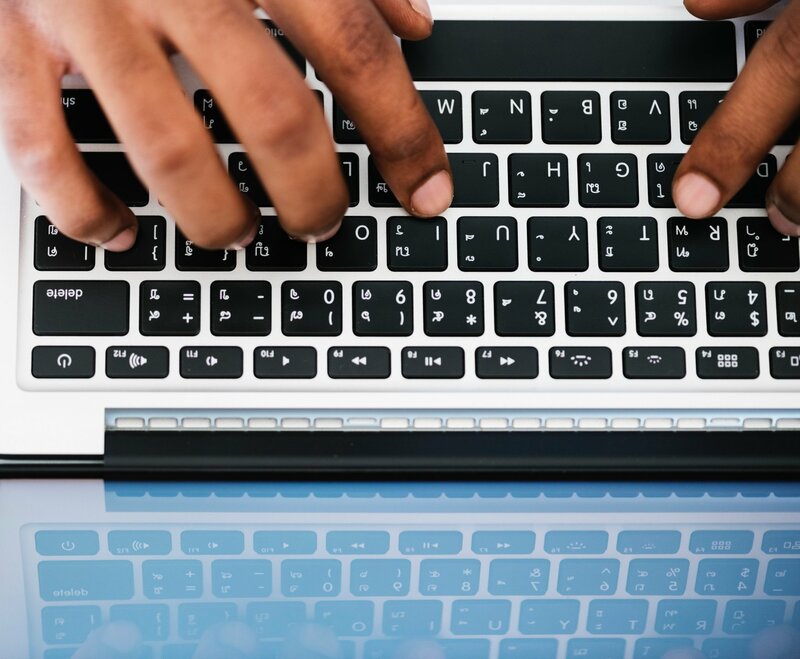 The Information Commissioner’s Office (ICO) has compiled a helpful Data Protection Self Assessment, and they note that this has been put together in the interest of small organisations that wish to analyse their own situation. Even though the UK plans to leave the EU, all businesses here will still need to comply with GDPR. One of the many reasons is because of the crossover period between GDPR being announced, and the UK announcing its intentions to leave. Plus, plenty of British companies will continue to do business with the EU after Brexit. They will need to comply with the regulations if they wish to do so. Not found what you need from our FAQ? Don’t worry. The GDPR Information Portal has been produced to help educate the public in time for the May 25th 2018 enforcement date. The Information Commissioner’s Office (ICO) have produced a PDF manual entitled Twelve Steps To Take Now. It provides a checklist of actions you can take to prepare your business. Our friends at Digitl produced a highly informative webinar with Steve Kuncewicz, and this details how GDPR will impact the eCommerce landscape. We are hopeful that these FAQs help address the common GDPR queries. If you haven’t found what you’re after, and the further reading hasn’t helped, you are more than welcome to get in touch with us and we will do what we can to help. We’re always looking for new social media tools to add to our bag of tricks. Over time we’ve come to settle on a select few that really make a difference to the way we do things here at Pixel Kicks; and with such a wide variety of systems out there, we’re always keen to give new features a go on a trial basis. With that experience behind us we feel comfortable putting together a ten-strong list of vital social media tools. The addition of just one or two of these tools would be helpful for any business that wants to push on with their social media marketing. There are an abundance of social media management systems across the internet. They are designed to help users manage multiple social media channels from one place. Hootsuite is one of many, and widely received one of the most efficient social media tools for this purpose. Without logging in and out, users can jump from account to account with the click of a mouse. This enables you to view multiple ‘streams’ of tweets, posts and interactions all from the comfort of one screen. It offers users the ability to cross-post across multiple media channels, add in their mobile app and you’re looking at as accessible a tool as you will find. Hootsuite offer analytical reports sent via email on a weekly basis. They summarise everything from link clicks to follower growth. Hootsuite is one of the most recognised social media management systems, empowering users to monitor multiple accounts at the same time. Perfect for a business that has a wide reach. The free plan suits one person perfectly. It allows you to integrate three social media accounts and track them with basic analytical insight. Users can schedule up to thirty social media posts at any one time, in addition to two RSS feed integrations. Hootsuite provide an online help centre that answers practically any FAQ you may have. Link ‘shorteners’ take long URLs and convert them into neater, tidier options. We find that using shortened links helps with the look and feel of our social media content. This is especially important if we intend to drive traffic to an extended URL. Creating a link using Bitly is incredibly simple. Users paste a full URL into a box, then sit back as Bitly processes it in a matter of seconds. These links can be branded and optimised to suit your objectives. As you will see, we’re all about social media tools with an emphasis on speed and convenience. 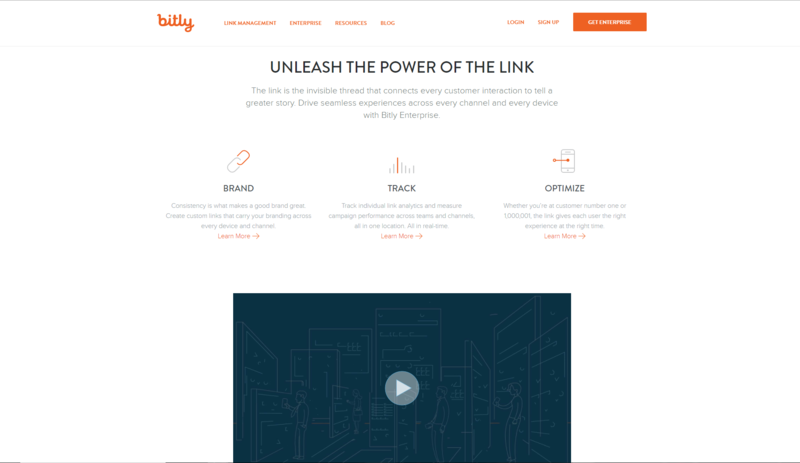 Bitly is more than just a link shortener, it is a social media tool that allows users to track content performance. Being able to track and compile click data is very useful in terms of campaign analysis. Bitly’s Enterprise service has been built to serve businesses who operate their campaigns on an organisational scale, but the free version should do you just fine if you’re starting out. The team at Stencil boast that their social media tools are the ‘the fastest way to double your social engagement.’ It’s easy to see why. They offer users a platform to create quick images for social media sharing. The entire product has been designed with ease of use in mind, and Stencil comes packaged with literally millions of free background photos for users to browse. This works particularly well if you need a nudge in the right direction, as there are hundreds of templates for you to fill with your desired text copy. With over 2,000 free Google Web Fonts and an integrated Chrome Extension, it’s hard to look past Stencil when it comes to creating clean images for social media. Stencil advertise their free version as one ‘For The Hobbyist’, which lends itself perfectly to anyone starting out in the world of social media marketing. Without paying a penny users can expect to create up to ten images per month, but Stencil do limit access to the wealth of stock imagery and icons. As you would expect, the paid versions open up wider ranges of features for users to explore. Marketers need to be able to report back to their clients with the exact information they’re after. DashThis is a simple client reporting tool that allows users to gather data in one convenient report. The reports can then be exported via PDF or emailed direct through the platform. With DashThis there is the ability to integrate your report with pretty much any data source out there on the web. Once integrated, the data will update in real time to reflect progress across the course of a campaign. This is absolutely crucial if you are working towards key performance indicators. The beauty behind DashThis is that once the reporting dashboard has been produced and finalised, you are fully set for a report that updates automatically by pulling in real time data. It removes hours of arduous manual reporting. DashThis offer a fifteen day free trial which means there’s an opportunity there to try it out and play around. 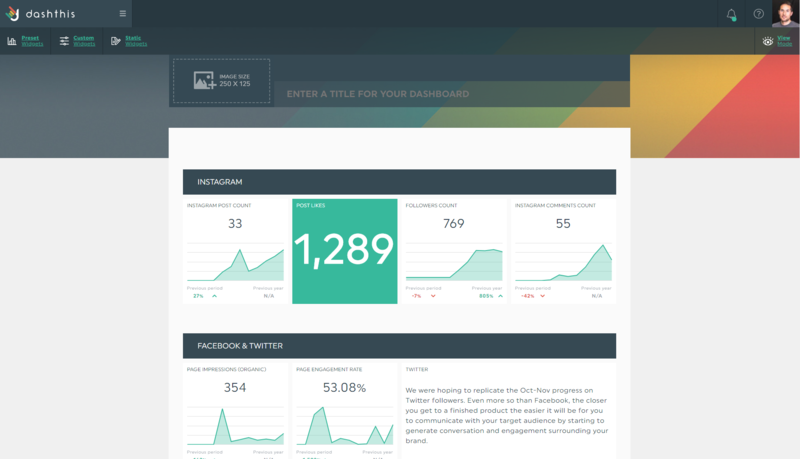 The clean design and wide range of data integrations make it our choice for monthly reporting here at Pixel Kicks, and at the prices set, you’d be hard pressed to find more flexible social media tools for reporting. Once accounts were connected to the system, Klout was able to measure social influence and score it accordingly on a scale of 1-100. It considered a wide range of social activity as part of its algorithm. Those included follower numbers, page likes, social interactions and reviews. 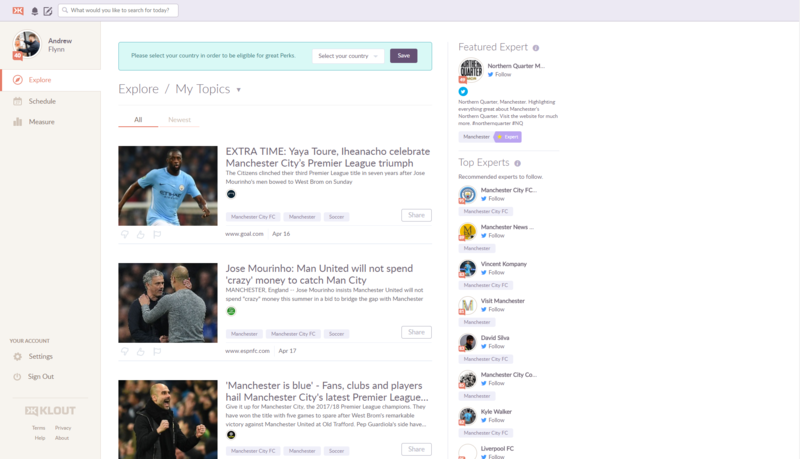 Klout also provided a feed of recommended topics for users to explore. Users could stay on trend through this feature. Users will see their Klout score rise if they are creating content that people want to share and respond to. Reviewing social media activity is a big plus point. It gives a business the ability to put a solid number behind its social media performance. For businesses that are on the lookout for a social media influencer to work with, Klout provided a method to identify and pinpoint the personalities that are keeping active. Buzzsumo can do that job too, though, so read on for more. 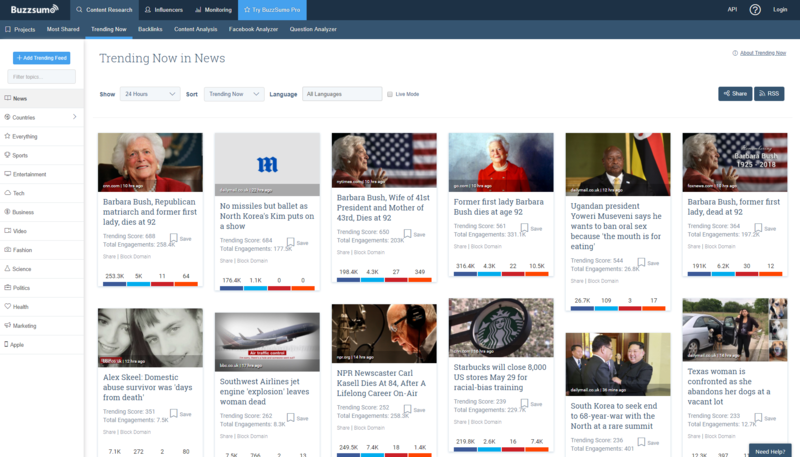 With Buzzsumo, users gain access to a powerful social media tools that highlights popular content types based on topic. This is an essential tool for content marketers that are on the look out for engaging, shareable content for social media. Without a tool like this we would be inclined to trawl through social media platforms, blogs and news sites manually. All Buzzsumo requires is a piece of search criteria, and away it goes. Users gain access to valuable content insights with breakdowns of what people are talking and searching about online. It delves into where these conversations are physically taking place, which is vital information with regards to planning which social media platforms are optimum for a campaign. Similarly to Klout, Buzzsumo users can access a range of influencer information to determine who their audience are most likely to listen to. Audiences have to be at the forefront of every decision you make, and with that in mind, Buzzsumo is a great social media tool to keep your content tailored to their needs. Buzzsumo is a paid service but regarded as the pinnacle of social listening. There are free alternatives available across the internet and we advise that you have a play around with these before signing up to a full version. Alternatively, Buzzsumo offer a fifteen day free trial. TweetDeck is one of the most popular social media management tools around. It is a a service dedicated solely to the management of Twitter accounts, and much like Hootsuite, it allows users to monitor various Twitter accounts from one hub as opposed to continually logging in and out. This is helpful If you manage multiple businesses’ accounts as part of your job, or if you operate multiple personal channels. Features of the TweetDeck tool include post scheduling and cross posting. There are also no limits to the amount of streams that a user has, so you can monitor the activity of the accounts you are following alongside your notifications, mentions and messages. TweetDeck doesn’t cost anything and is completely free to use. You don’t actually need to make an account, just log in to Twitter and then open up a separate TweetDeck tab. TweetDeck has been around for years and is one of the trusted, reliable social media tools for management. 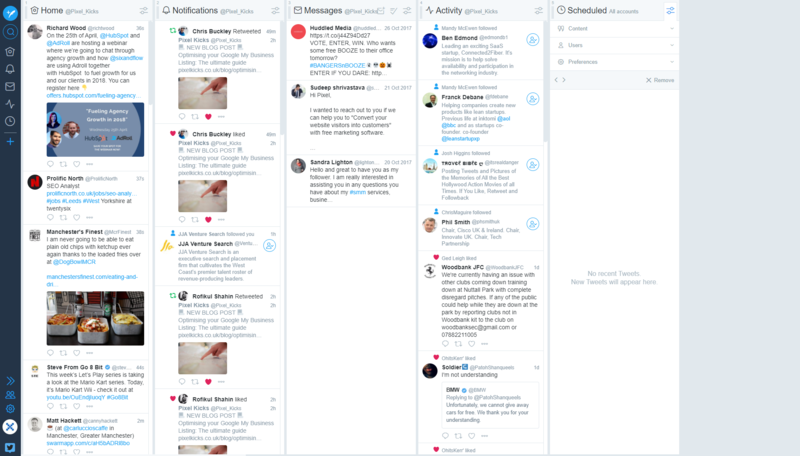 The organisational tools on offer make TweetDeck a great Twitter-focused alternative to paid platforms like Hootsuite, and the clean layout design means you’ll get used to it in no time. As the name suggests, Feedly is a feed reader. Feed readers are tools designed to aggregate content in to one clear stream. This makes it possible for users to quickly scan headlines from a variety of different sources. This ability is seen as a huge marketplace advantage because all of the content you need is in one place. It removes the need to continually check websites for updates. The way it works is quite simple. First of all you need to create a Feedly account. After that, you needn’t do more than subscribe to the RSS feed (Rich Site Summary) of the website you want to keep in touch with. Feedly will also give you categories that you can explore. 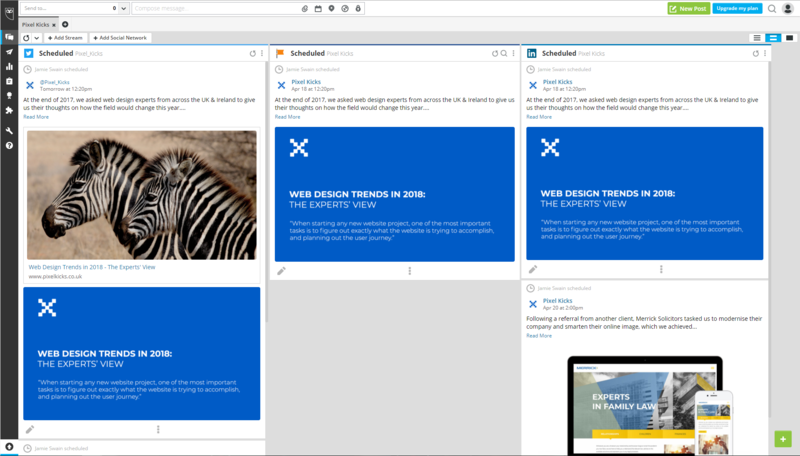 Each category will include featured blogs that users can subscribe to instantly. This is an interesting tool for social media as it works to keep you informed and inspired through the blogs you subscribe to. 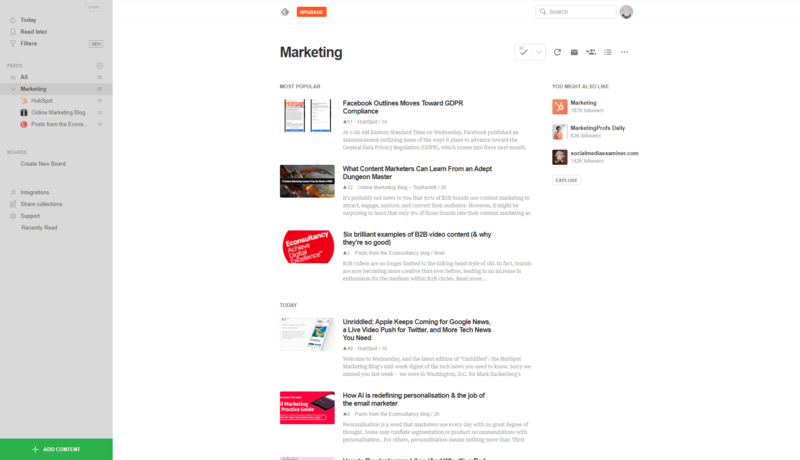 Feedly’s clean, streamlined look and feel means its an easy option for those who want to can for content they can share across social media. Feedly’s free plan allows users to build up to three feeds using up to 100 different news sources. For a nominal monthly fee the platform’s services are increased greatly. You will be able to build feeds without limits and set up Google keyword alerts. Canva offers a similar service to Stencil, but while the latter focuses on the creation of images as quickly as possible, Canva encourages its users to create ‘amazingly simple’ graphics with a professional quality. While Stencil offers an abundance of stock imagery and icons, Canva has thousands more templates to hand making it perfect for beginners. Canva allow their users to upload their own images which makes it a much more viable choice if you have a particular design already in mind. Their Learn content is a fantastic bank of knowledge offering guidance to those who need a push in the right direction. You’ll be able to do everything you need to with Canva’s free version. 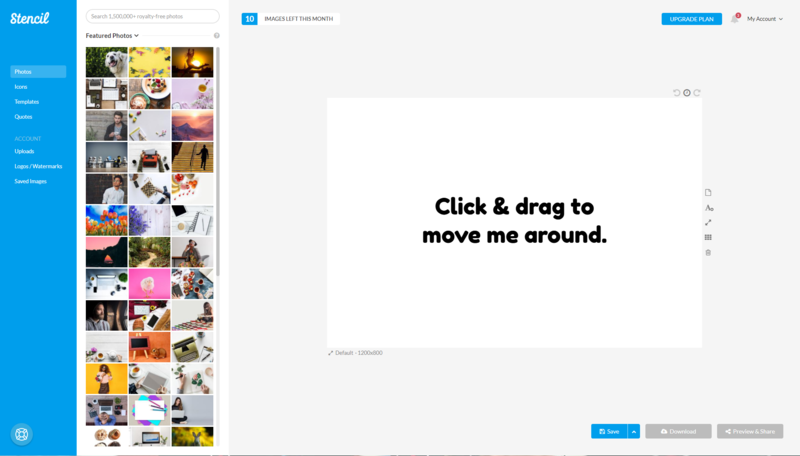 Canva for Work is the next logical step if you’re working in a team. You can invite up to 50 team members to share designs. 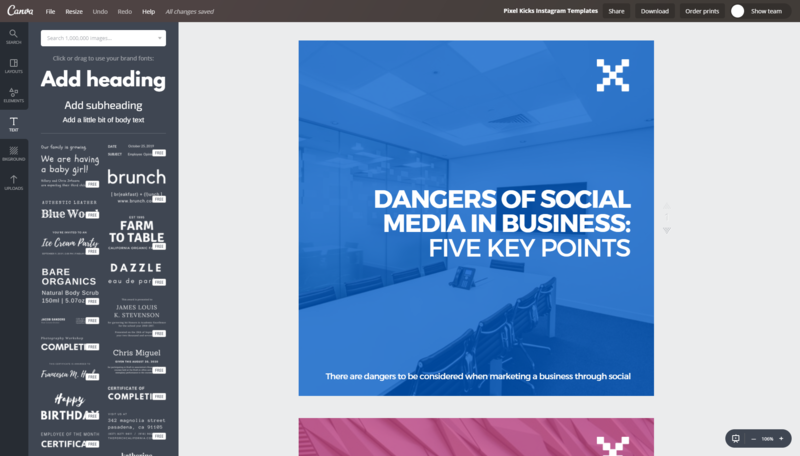 No matter if you’re new to design or trained in the field, Canva have created the perfect platform for us all to create stunning social media content, documents and presentations in a straight-forward and simple manner. You’re familiar with Canva, now meet Fastory. Fastory works like Canva but with the aim of producing interactive social media content for mobile. It pushes users to make the most out of their mobile content with perfectly designed themes that are optimised for a variety of business goals. It’s a great way to elevate your social media campaign to the next level by introducing solid Instagram Story and Snapchat content. Much like Canva, Fastory has a team management feature where administrators can attribute roles to specific people. The Fastory editor guides users through three simple steps to create an engaging Instagram story or Snapchat post. After publishing the content on Fastory, it will send the post straight to your specified email address. You can then download them on your mobile phone and upload it to your desired social media channel. They are just ten of the hundreds of worthwhile and helpful social media tools across the internet. If you want to discuss any of these in more detail, or have a general enquiry about social media marketing for your business, you’re more than welcome to drop us an email. Constantly Googling for the perfect social media image dimensions can be tiresome. We optimise our content based on the social media channel we’re using, but find ourselves going back and forth from our notes to Photoshop in an attempt to keep within these golden parameters. So, we created a bit of an internal cheat sheet for our team to use. But then we figured that, with a little bit of extra work, we could share this resource with everyone. So here you have our 2018 cheat sheet for social media image dimensions. We’ll be updating this any time a dimension changes, so add this post to your bookmarks and use it as your number one guide towards ensuring a professional, optimised social media presence. Bare in mind, there are tons of similar resources out there. We’re not reinventing the wheel, but these are the social media image sizes that are working well for us at Pixel Kicks right now. Operating a Facebook page with high-quality imagery drastically improves the perception of your business. Facebook’s algorithm centres around user-experience and, as a result of that, they are appreciative of well optimised content that looks great in users’ news feeds. Facebook profile pictures display at 180 x 180 pixels on your on computers, and 128 x 128 pixels on smartphones. While profile pictures appear squared on Facebook Pages themselves, keep in mind that they are now cropped into a circular shaped format when shrunk. Make sure the vital elements of your profile picture are centered. As cover photos span the full width of a Page, Facebook state that they must be at least 720 pixels wide. Facebook will stretch any smaller photos to fit this scale. Cover photos load fastest as an sRGB JPG file, 851 x 315 and a file size of less 100 kilobytes. With cover photos there is a huge opportunity to make an immediate impression on a potential customer, so take the time to optimise yours. This is an important dimension as these pieces of content accompany posts made by the Page. Creating for an advert? Keep in mind that Facebook will not allow you to put money behind an image that contains a text coverage of over 20%. Facebook will scale your upload down to 470 × 174 pixels to fit in the news feed, but create an image within the recommended dimensions to ensure a high quality. The ideal file formats are MOV or MP4. If you upload a video that’s higher resolution than that, it’s fine, but Facebook will downsize the video. A fairly recent addition to Facebook Pages saw the introduction of cover videos. They must be a minimum of 820 x 312 pixels and run from anywhere between 20 and 90 seconds. Similarly to Facebook, operating a Twitter account with optimised content can cement a strong first impression on yourself or your business. Twitter profile pictures display at 200 x 200 pixels but we use 400 x 400 as an optimal dimension when creating them, keep in mind that they are now cropped into a circular shaped format so include all key elements as central as possible. Have a play around with different text and image orientations. Why not make a secondary, private test account and upload assets there first? These are the maximum dimensions that Twitter can cater a shared image for. Images appear in users’ streams collapsed at 506 x 253 pixels on desktop. Maximum file size of 5 MB for photos. Maximum file size of 5MB for mobile and 15MB on desktop. Instagram is, of course, all about making as much of a visual impact on your audience as possible. So perhaps even more so here than on any other platform, the focus needs to be on creating stunning imagery that fits the optimum dimensions. As with Twitter, Instagram photos are cropped into a circular area so ensure that key elements are centred. Your profile photo shows up next to all of your posts and at the top left of your page. Use a logo if you have one. As photos appear on your profile in a 161 x 161 grid format, we recommend that you create content in square format (1080 x 1080.) The helps to provide consistency and means you can grid your uploads. This doesn’t mean you can’t upload images in a landscape format, but keep the height at 1080 as that is the optimum. Instagram prefers MP4 formats, at a maximum duration of 1 minute and file size of 15MB. This image dimension is portrait-orientated and work well for Instagram Story content. Videos will also need to be created at this size, in MP4 format. Utilise Instagram Story to display your company culture, a sort of behind the scenes insight into your business. As the primary B2B social media platform, LinkedIn possesses incredible value with regards to making industry connections. That said, it is imperative that your accounts are populated with striking, professional images. LinkedIn will not accept any file larger than 8MB, and they will only accept JPG, PNG or GIF file types. Company logos should be centred. LinkedIn will not accept any file larger than 8MB, and they will only accept JPG, PNG or GIF file types. Personal profile photos should simply be your face, while company photos should be a logo. LinkedIn will not accept any file larger than 8MB, and they will only accept JPG, PNG or GIF file types. To ensure that your profile background looks how you planned it to we advise that you test a variety of different designs, as some files may be scaled upwards or downwards. This replaces the cover photo at the top of your profile page. 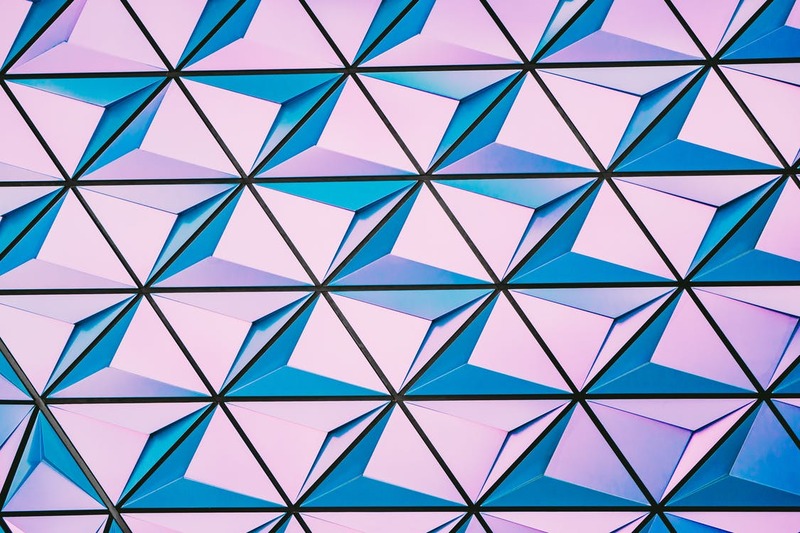 This is quite an awkward, oblong style and as such it is hard to find an image that works – that’s why we recommend taking the time to create your own, optimised visuals. These are the optimum dimensions for a LinkedIn shared image. This is an important dimension as these images form the basis of any post that is made to your personal, or business LinkedIn page. Keeping to these dimensions will ensure that the image looks correct in users’ news feeds. LinkedIn support ASF, AVI, FLV, MPEG-1, MPEG-4, MKV, QuickTime, WebM, H264/AVC, MPEG-4, VP8, VP9, WMV2, and WMV3 file types. There is a max file size of 5GB, and max duration of 10 minutes. Pinterest is an interesting social media platform that operates as an image search tool. Therefore, image optimisation is paramount prior to uploading. Pinterest is one of few social media platforms that does not give users a cover photo for their page, so make sure to maximise the potential of your profile picture. Remember, also, that it will appear as a 32 x 32 pixel image on other Pinterest pages. Make sure it is still a legible image when shrunken. Pinterest’s layout is more portrait-orientated, and so vertically optimised images tend to perform better and receive greater engagement. Giraffe pins share the same width as a standard post but are created with a significantly greater height span. These images have to go above and beyond by providing significant value. Think infographics. Tumblr is a blogging platform for users to share rich content and build communities around topics they love. This photo will be displayed in a small, square format next to Tumblr posts. It is embedded alongside the username when users are searching, too. Much like Pinterest, Tumblr offers no option for a cover photo – however, there are plenty of blog themes to give your page a personal look and feel. Base your avatar on that for consistency purposes. Tumblr’s maximum is 1280 x 1920 however in the feed, images are displayed at 500 x 750. Snapchat connects businesses with their audiences through purely visual content. While the bulk of activity on Snapchat centres around images taken there-and-then via a mobile phone camera, you may wish to prepare some content for ad purposes. The maximum ad length is 10 seconds, and the maximum file size is 32MB. If you want to discuss content creation in more detail, or have a general enquiry about social media marketing for your business, you’re more than welcome to get in touch. A self-employed freelancer, a young digital marketing upstart, a small-business owner and a head honcho of a corporation: what have they all got in common? The chances are that they have all considered both the glorious advantages and cautious dangers of social media for business. Now let’s set one thing in stone from the start, the benefits of social media marketing are plentiful. The advantages have been well-championed across the internet, and quite rightly so, as it has proven to be an altogether cost-effective marketing tool that should be utilised by whomever, wherever possible; yet similarly to the offline world there are dangers to be considered when branding and marketing a business through social media. Here are, in a cosy, bite-sized list, are five key dangers of social media in business. Have you ever considered just how many posts are being made on social media per day? Have a guess, then watch the live statistics for some of the top social channels. The key social platforms are in a current state of content shock, which essentially means that there is far too much content being posted online than can be consumed by the users. The theory, explained perfectly here, is a simple case of supply and demand which has led to a sharp decline in the organic reach of content. Facebook defines organic reach as “how many people you can reach for free by posting to your page.” This seems simple enough. You create a page for your business, build yourself an audience and post your content out to them, right? Unfortunately the situation is far more complex. The landscape of Facebook marketing is predominantly pay-to-play, and it has been for a number of years now. Facebook bosses have chosen to commercialise their platform by placing a news-feed preference on the businesses who put capital behind their content. Failing to explore the possibilities of post sponsorship is a dangerous game to play. The longer it takes to create content for Facebook, the more money should be put behind it. Give it the reach it deserves. It’s easy to fall into the trap of creating content, posting it out and waiting for the click-throughs to flood in. Unfortunately, the days of pushing out an entirely commercial message are long gone. You must make your content engaging. You need people to click on it. The danger here is that a failure to do so will result in your posts becoming practically invisible. Simply put, if you are failing to provide engaging content to your audience then your page will fail. With so much information being thrown at the consumer, you have a duty to place an emphasis on brand development as opposed to revenue chasing. 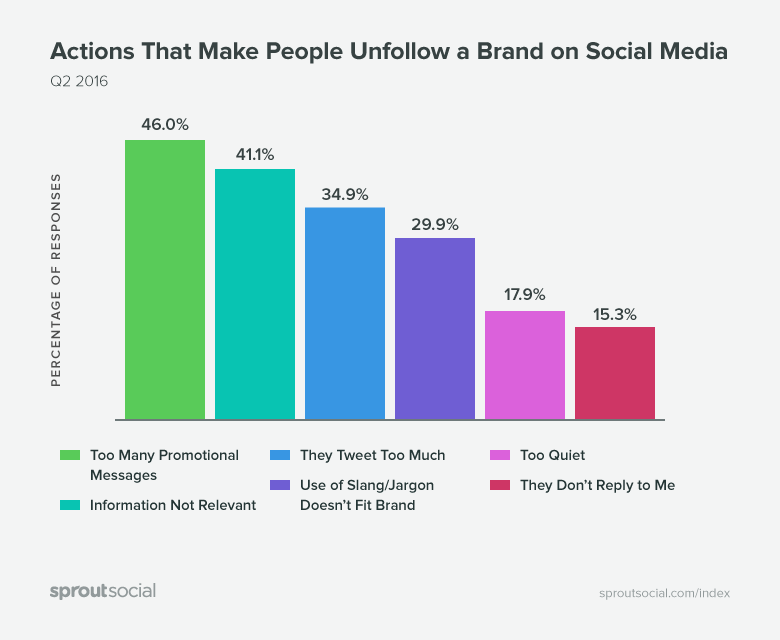 Why people unfollow brands, based on their social media actions. Take Adidas as a goliath example, rarely does their Twitter feed express a CTA. Rather than using their feeds to drive traffic they choose to focus on creating sharp content that reinforces their brand. Replying to customers. Customer interaction is the key to executing a sturdy business plan as it helps to develop a consumer-business relationship. Producing content that they want to share. Every post should have a shareable factor. If that’s outside of your skill set, provide incentives to the consumer base in the hope that they will share the content. Simple retweet competitions are a very effective mechanism to enable this. Having fun with what you post. Make it noticeable that effort has been put into the management of the account. If your social feeds come across like an online Yellow Pages ad, they will be treated as such. Every marketing plan should start with an analysis of the business’ current position, as well as a further analysis of the key online competitors. A failure to do so can result in lethargic content that fails in its performance, a key danger in social media marketing. The model provides a sound basis for the analysis of both yourself and your competitors, as it allows you to compare and contrast a set of strengths and weaknesses to determine what level you need to reach with your marketing campaign (the minimum target should be to keep pace with your competitors.) 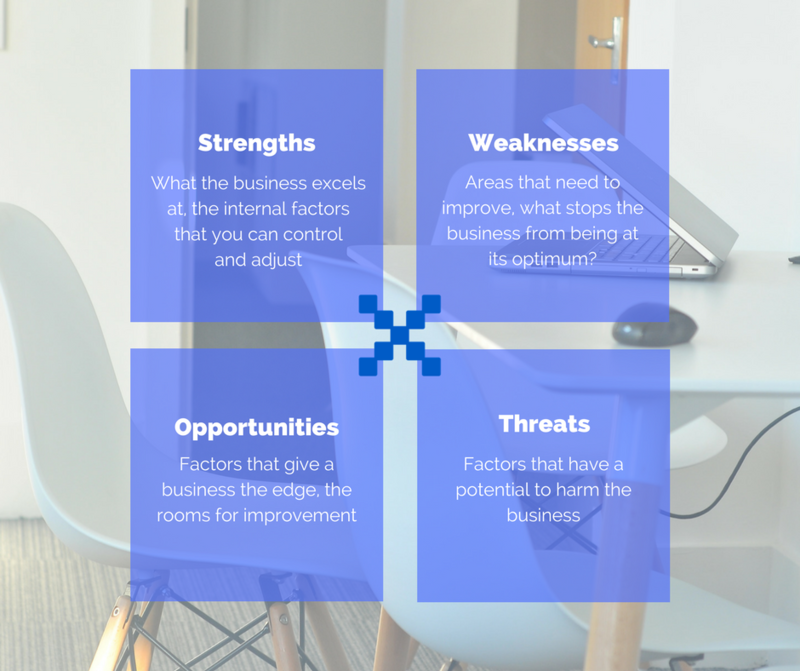 Further, it gives a business the opportunity to optimise a plan by focusing on its intrinsic qualities whilst trimming any past failings away. Without any form of research on the business’ prior social performance, there is no basis through which progress can be tracked. It is also worthwhile to develop an understanding of some key social media terms. Take your time to have a flick through the analytics pages for the channels you are using, or have a read through a some blog posts to get a brief understanding from the industry experts. A considered approach towards the performance of your page means you can track your progress, or the ROI on your paid posts more efficiently. User generated content, by its very definition, is a type of content created when consumers interact with a brand initiative. This usually involves inviting consumers to engage with a hashtag or digital platform, branded content will then be displayed on their personal social media accounts, essentially doing your digital marketing for you. 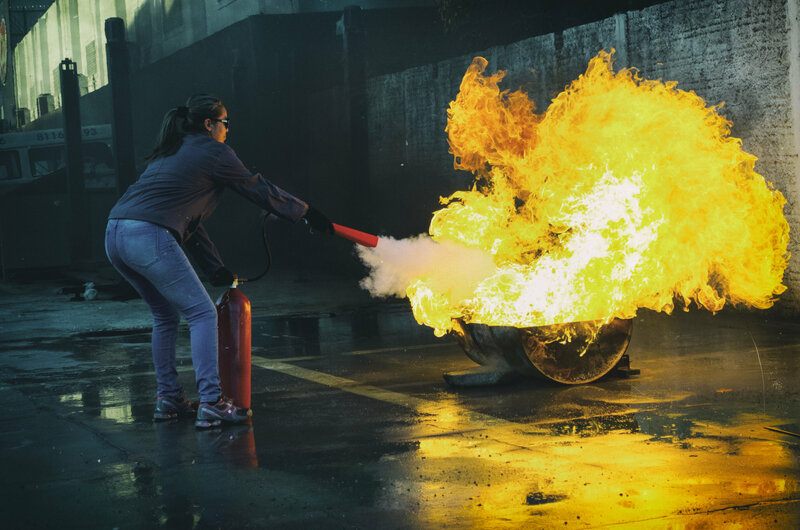 Simpler forms of UGC are easy to manage, such as customer testimonial tools and hashtag campaigns; however, history indicates that complex UGC campaigns take businesses down a path of social media danger. Back in May 2017, Walkers crisps ran an innovative Twitter campaign dubbed ‘#WalkersWave’ that invited users to send selfies in a competition for UEFA Champions League Final tickets. The selfies would then be randomly digitally-imposed onto video content with long-time brand ambassador Gary Lineker. At least, that was the aim. The result of the campaign was an infamous hijacking courtesy of the Twitter community. It was a stark reminder of the dangers that user generated content brings with it, things can spiral out of control – fast. In this case, the auto generation of the posts was detrimental because there was no moderation in place. After that crisis, you would think that creative agencies collectively went back to the drawing board? Lessons were surely learnt. In principle this is a fantastic idea. Just by retweeting (which in turn raises brand awareness for The National Lottery), users are sent personalised video content that is sent straight to their mentions. However, the automated process grabbed the users’ account name as the basis for the content. Large sections of the Twitter community exploited this. 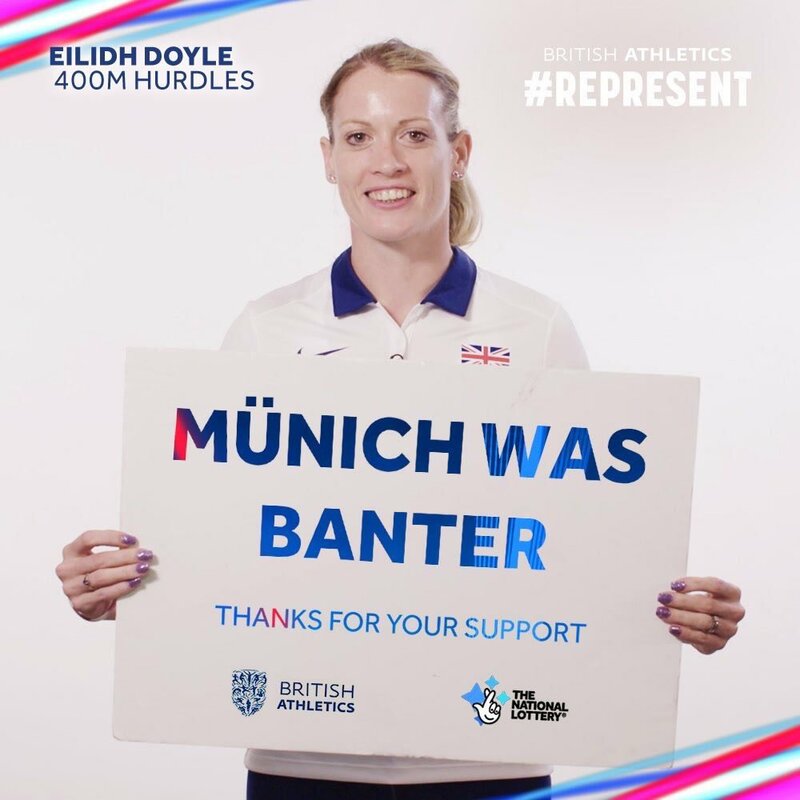 Some users exploited the campaign to share light-hearted football humour. Others took advantage of the loophole to spread insulting messages, with this take on the Munich Air Disaster of 1968 being one of the tamer examples available. The National Lottery apologised profusely for the mix up, but one wonders who signed off on the idea in the first place. As part of any social media plan it is essential that a series of guidelines are set. These help aid employees in keeping true to your desired direction, and ensure that your online presence remains consistent across a multi-channel approach. Planning out your content for the months ahead helps a business to make sure they are hitting key dates, by organising their content and effectively distributing resources to fit the calendar. Establishing a content calendar is proof that organisation is the key to success. Are you of the ‘less is more’ persuasion, or would your social channels benefit from a fast-and-frequent approach? Decide on what is the optimum for your business and stick to it. Having a concrete post ratio means both yourself, and your employees know exactly what output is expected. With so much focus on creating content with top visual quality, tone and voice often get overlooked. Consistency is key, and that is especially true with regards to the text you put out online. A lot of it depends on your audience, are you looking to develop a corporate look and feel or would you benefit from going off-the-cuff? While the majority of fast food restaurants use their social channels as a customer service platform and advertising tool, Wendy’s execute a sarcastic tone perfectly. Not only does this set them apart from the rest of the competition, but it provides a human element to their responses that leaves the consumer feel like they are being talked to by a person rather than a brand. Human error is ultimately unavoidable, but it is a danger of social media that can be limited by putting procedures in place. The assignation of clear roles within the process is a great start, at a bare minimum all posts should be cleared by a senior who has final responsibility for the output. Social media is an extremely powerful tool, but at the slip of a finger, you can take two steps backwards. By ensuring an internet etiquette is maintained you lower the risk of a PR crisis. Social media campaigns play a big part in what we do here at Pixel Kicks, after all, a crisply designed website needs a strong social presence alongside it. Have any questions regarding your own social media strategy? We’re happy to discuss how you can avoid the dangers of social media directly with you. Contact us here.